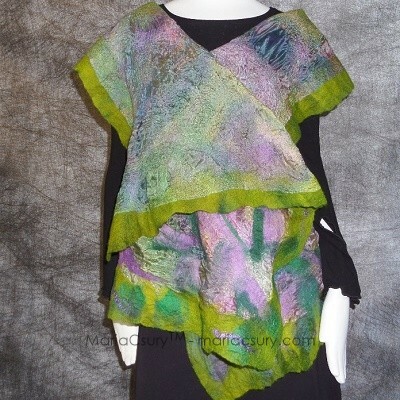 This 3 Dimensional lightweight top is handmade with the nuno felted technique. Care: For better results and long lasting quality of the garment; hand wash using cold water and hair shampoo. Squeeze the water out in a towel. Reshape, lay flat to dry. Don't use tumble dryer. Only warm iron to touch up. 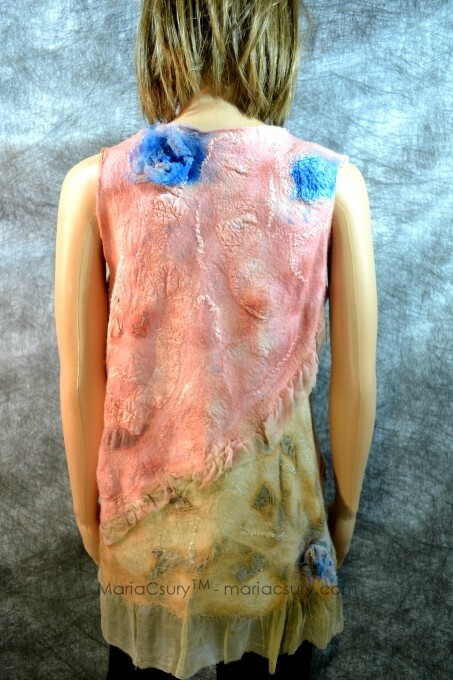 This 3 Dimensional lightweight sleeveless top is handmade with the Nuno felted technique. The surface of the pink top is lightly puckered and decorative pattern around the neckline according to the shabby chic style. 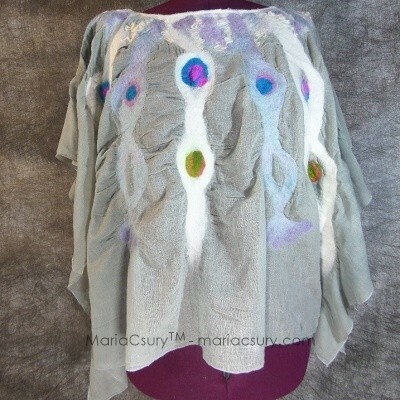 Soft and light this top is a pure luxury to wear. 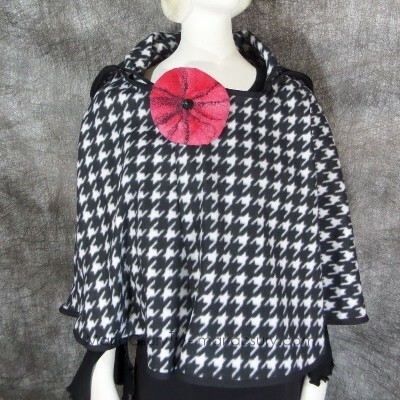 It is made from organic Australian merino wool felted without seams onto silk fabric and embellished with silk yarn, flowers, and silk fabric. 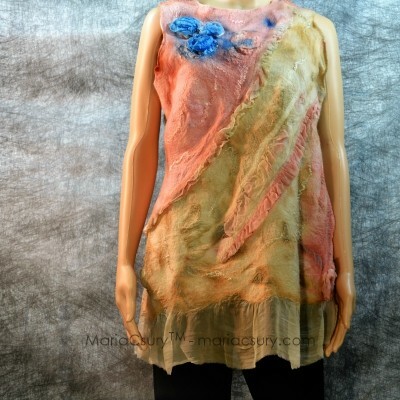 All materials have been dyed with a low impact acid dye. Care: For better results and long-lasting quality of the garment; hand washes using cold water and hair shampoo. Squeeze the water out in a towel. Reshape, lay flat to dry. Don’t use a tumble dryer. Only warm iron to touch up.